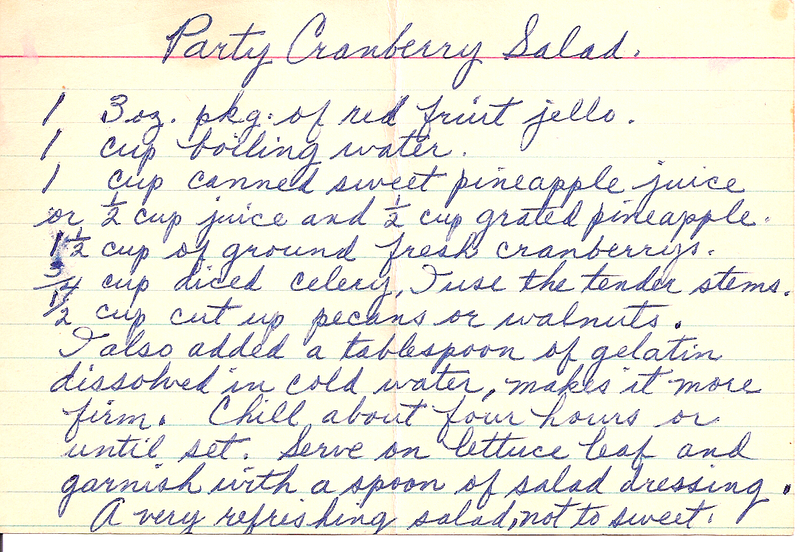 Grammy Gertie has several recipes for cranberry Jello salads. And here's another! - Add boiling water to Jello packet, mix in other ingredients. - Pour into mold, chill for 4 hours. 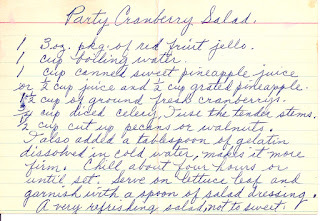 -Serve on lettuce leaf and garnish with a spoon of salad dressing.